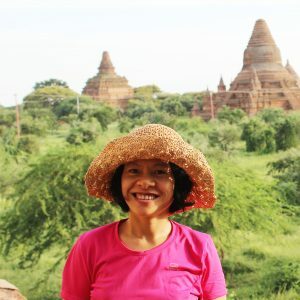 It would be difficult to sum up Thailand’s many culinary offerings, cultural icons, and adventures, but it’s safe to say that there is truly something new, unique, and authentic for everyone here. Jaw-droppingly beautiful beaches in Southern Thailand compete with the ultra-modern malls and sightseeing in Bangkok, catering for both beach-floppers and avid shoppers while true connoisseurs of history, culture and cuisine will find paradise in Thailand’s Northern cities and the serene Golden Triangle. As the capital of Surin Province, this small town is well-known for its elephants and the historical landmarks. Although the exact history of the town itself is not well known, the people of the region have always been highly regarded for a particular skill: capturing and taming elephants. Ubon is one of seventeen provinces that make up the Northeastern or Isaan Region of Thailand. The people here are the grassroots of the country. The service and agricultural industries thrive because of Isaan. A province known for its Isarn style food which gets quite spicy even by Thai standards. There are also many local Thai handicrafts here as well as Thai silk. Ubon offers Thailand and it’s culture for you who want a break from the beaches and tourist towns. Ubon and the northeast are the real Thailand, head upcountry and give us a visit. Khao Lak located just an hour’s drive north of Phuket Island that is on the west coast of Thailand, right on the Andaman sea. It offers a rare oasis for relaxation, with a superb combination of cool tropical forest, lovely beachfront accommodation and expansive white sand beaches and especially a hat-trick of national parks and those beaches are more beautiful than ever. Khao Lak has many newly built and refurbished resorts providing a quantity and quality of accommodation never before seen in this area. Set in Surat Thani Province, Khao Sok has its own national park that contains Thailand’s largest virgin forest. The area is known for it’s dramatic towering limestone cliffs, breathtaking waterfalls and lakes, exciting caves, colorful wildlife and easy route access. Ko Yao is a group of islands between Phuket and Krabi. There are two main islands, Ko Yao Noi (“Small Long Island”) and Ko Yao Yai, with Noi being the more developed of the two. Ko Yao Noi Island is one of the largest in an archipelago of 44 islands which is famous since it was featured in the James Bond movie “The Man With the Golden Gun” as it remains a beautiful island, where most people still believe that the island should be preserved from human degradation. It is often described as one of the last islands in the region to not be overly developed. The island lies on the maritime border with Cambodia and is the second largest of the Koh Chang Islands. 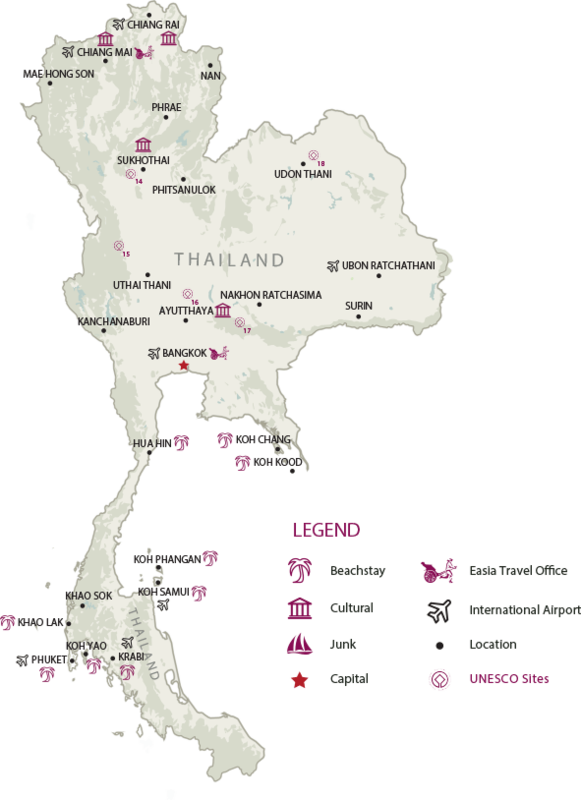 Its beaches, with their powder sand, clear waters and picturesque bays are all on the west coast, with Koh Kood’s 50 or so resorts scattered along its length. There are just 2 fishing villages over on the eastern side. Largely untouched rain forest fills the center, mangroves line the rivers and 3 very pretty waterfalls are hidden away deep in the forest. World famous due to its Full Moon, Half Moon and many other hedonistic parties, Koh Phangan, ‘Samui’s Little Sister’ is a paradise for lovers of natural attractions. Traditionally the beaches are a top choice of all the Koh Phangan attractions and spending time relaxing on any one of them shouldn’t be missed. With a beautiful national park, jungle-clad mountains, waterfalls and palm-fringed deserted beaches, Koh Phangan is a nature lover’s heaven. Koh Phangan is also popular amongst divers and snorkellers. There’s coral right off the beach on the west coast of the island, and just offshore you’ll find the fantastic dive site of Sail Rock (AKA Whaleshark City), often celebrated as the best dive site in the Gulf of Thailand. One of Thailand’s most popular holiday destinations and a great base from which to explore the Gulf of Thailand’s southern beach stay spots. Koh Samui (Samui Island) is a cosmopolitan melting pot, attracting travelers staying for a month or two in simple beach-side bungalows, to the wealthiest holidaymakers dropping in for a weekend at one of the many luxury resort or villa on the many white sand beaches of Koh Samui. Koh Chang, known also as ‘Elephant Island’ named because of its elephant shaped headland, is Thailand’s third largest island after Phuket and Samui. As 70% of Koh Chang is covered in rain forests, mountains and beaches, from jungle covered mountain peaks to sweeping bays, great waterfalls to flourishing coral reefs, beach huts to luxury resorts, Koh Chang has plenty to offer for everyone. As the third biggest province in Thailand and only 2 hours from Bangkok, the area is mostly mountains and hilly terrains. Because of its magnificent landscape and charming beauty, Kanchanaburi has become a major tourist destination, with attractions including several well-known waterfalls, caves that were once inhabited by Neolithic men, pristine national parks, tranquil rivers, virgin forest, and several large reservoirs. 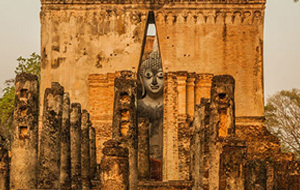 Just 80 kilometers (50 miles) north of Bangkok is the old capitol of Ayutthaya (or Ayuthaya, or even Ayodhaya. No matter how you spell it, its pronounced ah-you-tah-ya.) . This Historic City of Ayutthaya has a series of ruined temples and other important stone built buildings in varying conditions. Located in the lower part of northern Thailand. Most of the province consists of forests and high mountains, it is one of the last provinces throughout Thailand left untouched and Westernized with unspoiled natural tourist destinations . Uthai Thani offers a nostalgic view of Thailand; visitors can see the different lifestyles of locals, such as the life of raft residents on Sakae Krang River, a waterway that aided the birth of the province and which has been a lifeline for its people since ancient times. It is also where provincial trading has flourished. Life revolving around the river eventually grew from a community into the major province that it is today. An ancient center of Thai culture and politics set along the Nan River, Phitsanulok (or P’Lok for short) today is a busy, dynamic city and one of the larger of Thailand’s provincial capitals. While most travelers see it only through the window of a bus or train, those who hop off will find enough to do and eat for a solid break from the tourist trail. However, often overlooked in favor of its more famous neighbor, the ancient city of Sukhothai, Phitsanulok is home to picturesque mountains, rolling plains, fertile agricultural land, intriguing caves, cascading waterfalls, dense and wildlife-rich forests, and a number of excellent cultural attractions. The Sukhothai (Rising of Happiness) Kingdom flourished from the mid-13th century to the late 14th century. The remains of the kingdom, known as meuang gòw (old city), feature around 45 sq km of partially rebuilt ruins, making up one of the most visited ancient sites in Thailand. Featuring 193 ancient sites spread out amid trees, ponds, paddies and villages in several different zones, Sukhothai Historical Park opened in 1988 and received UNESCO world heritage status three years later. On the other hand, Sukhothai is one of Thailand’s most popular venues for the Loy Krathong Festival held annually on a full moon in November, when the historical park hosts light shows, folk performances and candlelit offerings sent floating on the ponds. 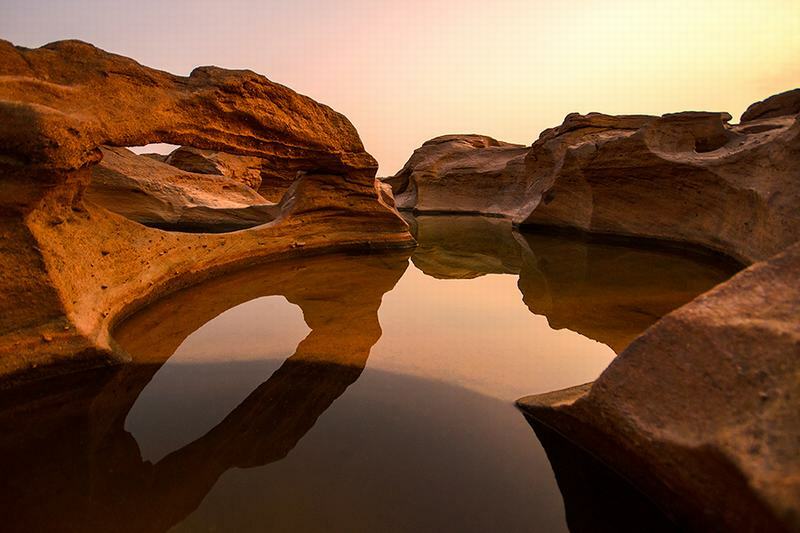 Udon Thani – The province is like a logistic and tourism hub of the region and is important history-wise regarding the famous Ban Chiang source of prehistory civilization, one of the oldest civilization in the world. On the other hand, Udon is one of the better market cities in Thailand: tightly packed clusters of vendors seem to appear down every side lane as you explore the gritty streets. Several of the largest markets include a vast network of food and clothing stalls around the train station, though we recommend venturing into some of the more hidden markets elsewhere in town. Tucked into Thailand’s northeastern corner, Nan is a remote province to be explored for its natural beauty. Surrounded by the spectacular misty mountains of Doi Phu Kha National Park bordering Laos, Nan is a place where travelers will find many old temples and teak wooden houses, where foreigner tourists are rare and people still enjoy the traditional slow lifestyle of the Northern Thai people. Moreover, Nan’s ethnic groups are another highlight and differ significantly from those in other northern provinces. 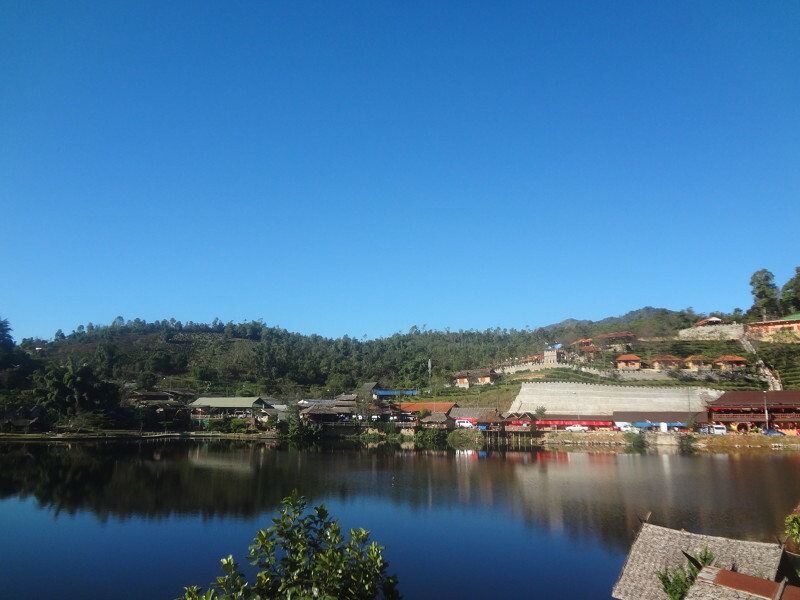 Mae Hong Son’s isolated location and pristine natural beauty make it an ideal destination for those in search of serenity. Waterfalls, hot springs, and forested caves dot Mae Hong Son’s endless rolling mountains, home to the Padong ethnic hill-tribe (Long-neck Karen), among others. This north-westernmost province bordering Burma is like another world, hemmed in on all sides by high mountain ranges. It boasts more than 80% of virgin forests, shrouded in mist all year round. Northern Thailand’s most important cultural hub offers a huge variety of antique temples, from colorful structures that sparkle in the sunlight to more understated beauties that exhibit the earthy tones of brick and wood. The surrounding countryside is nothing short of spectacular, either; Chiang Mai is the gateway into the Northern mountains, where travelers can embark on invigorating treks, see gigantic elephants, and interact with locals from minority villages. Phuket is Thailand’s largest island and a haven for beach lovers the world over. Present day Phuket is more than just a nice beach destination, though; it has been shaped by its diverse ethnic groups, cultures, architectural influences, and traditional fine cuisines. The island definitely has more to offer visitors than its natural heritage of sea, sand, sky, beach, forests, and world-renowned diving sites. The ‘old town’ is a charming place and well worth a visit for those looking for Phuket’s roots and history. 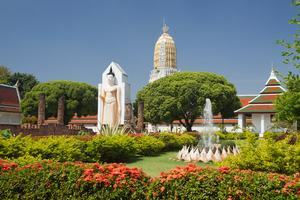 Nakhon Ratchasima or Korat Thailand is the most prosperous province of the East. Its richness of culture is very interesting since it has its own folk song called ‘Pleng Korat.’ Nakhon Ratchasima is also important to Thai history. Locating a few hours away from Bangkok with easy transportation the province is very popular for tourists, especially in Khao Yai National Park. Khorat has fascinating traditions, charming hospitality, splendid natural scenery and awesome historical sites, including Khao Yai, Thailand’s oldest national park and newest World Heritage site, and the Khmer temple at Phimai, an important provincial capital of the Angkor Empire. Chiang Rai has always been a significant site throughout Thai history, and remains a magnificent site to behold today. Founded by Phaya Mengrai in 1262 CE as part of the Lao–Thai Lanna kingdom, Chiang Rai didn’t become a Siamese territory until 1786 and a province until 1910. The city offers visitors the chance to see the point at which Thailand, Laos and Myanmar meet, famously known as ‘The Golden Triangle.’ Chiang Rai is also home to the utterly phenomenal White Temple, or Wat Ron Khun, which gleams like a white fire in the Thai countryside. Welcome to Hua Hin: the city of white sand beaches, magnificent mountain scenery, and beautiful waterfalls, all of which remain largely untouched by humans. Hua Hin is also famous for being a favorite place of residence for the Royal family when they go on their beach holidays. The latter’s Phra Ratchawang Klai Kangwon (“Far from Worries Palace”) remains a royal residence today, and was the full-time home of King Rama IX in many of his later years. Hua Hin is, in fact, a good budget destination; seafood is plentiful and cheap, there’s convenient public transport, and it takes a lot less time and effort to get here from Bangkok than to the southern islands. Welcome to Phrae, famous for its long-established neighborhoods of traditional wooden houses, tranquil temples, and lush, green trees as far as the eye can see. A charming city of amiable residents, a wander along the banks of Mae Nam Yom and its adjacent ancient wall will bring you into contact with the smiling locals, some of Thailand’s friendliest people, and some of the country’s most superb food. Yet despite all this, Phrae is a less-visited city and a great destination for those who require little more than a few low-key attractions, good local food, and happy company. The estuarine town of Krabi is both provincial capital and major hub for onward travel to some of the region’s most popular islands and beaches, including Ko Phi Phi, Ko Lanta, Ao Nang, Klong Muang and Laem Phra Nang (Railay). Phi Phi Island is one of the most popular destinations in Krabi. Due to its breathtaking landscapes, the island has become known as the ‘Jewel of the Andaman Sea’. Spending time to explore the beauty of Krabi and surroundings is a true pleasure. A few of Phi Phi Island’s best sites and attractions are Maya Bay, where the famous movie ‘The Beach’ was filmed, Pi Leh Cove, Viking Cave, Monkey Beach, and Bamboo Island. The stunning Maya bay is exceptional, with it’s crystal clear water and white sandy beach, which attracts millions of visitors every year. Known in Thai as “The City of Angels,” Bangkok is a city of mind-boggling history and spirituality, where ancient Thai temples rise magnificently from the riverbanks, colorful palaces glisten spectacularly in the sunlight, and a snaking river slowly winds its way through the heart of the city. There are fabulous shopping options available, from high-quality artisan handicrafts to excellent bargains on brand names in Asia’s most stylish shopping centers. There is also a veritable feast waiting for travelers in Bangkok, which boasts some of the world’s most renowned and delicious dishes. Neighboring countries: Burma and Laos to the North, Burma to the West, Laos and Cambodia to the East and Malaysia to the South. Currency: Thai Bath – THB ($1 = 31.705 Thai Baht – Mar 2019). The rule allows tourists from 55 countries to enter Thailand without a visa. They are granted to stay a maximum of 30 days if they are entering Thailand via an international airport or entering through a land border checkpoint from neighboring countries. Argentina, Australia, Austria, Bahrain, Belgium, Brazil, Brunei, Canada, Chile, Czech Republic, Denmark, Estonia, Finland, France, Germany, Greece, Hong Kong, Hungary, Iceland, Indonesia, Ireland, Israel, Italy, Japan, Korea, Kuwait, Laos, Liechtenstein, Luxembourg, Macau, Malaysia, Monaco, Mongolia, Netherlands, New Zealand, Norway, Oman, Peru, Philippines, Poland, Portugal, Qatar, Russia, Singapore, Slovak Republic, Slovenia, South Africa, Spain, Sweden, Switzerland, Turkey, United Arab Emirates, United Kingdom, United States, Vietnam. 1. The visit is strictly for tourism purposes. 2. They must have a confirmed return ticket to show that they are flying out of Thailand within 30 days of entry, as appropriate. Open tickets do not qualify. Traveling over land out of Thailand by train, bus, etc to Cambodia, Laos, Malaysia (including en route to Singapore), Myanmar, etc may be accepted as proof of exiting Thailand.You may be asked to show your flight ticket on entering Thailand. If you do not possess a flight ticket to show you will be exiting Thailand within 30 days of entry you will be most likely refused entry. 3. It will also be necessary to prove that you have funds of at least 10,000 THB per person during your stay in Thailand. Andorra, Bulgaria, Bhutan, China, Cyprus, Ethiopia, Fiji, India, Kazakhstan, Latvia, Lithuania, Maldives, Malta, Mauritius, Papua New Guinea, Romania, San Marino, Saudi Arabia, Taiwan, Ukraine, Uzbekistan. 4. The visit is strictly for tourism purposes. 5. The passport must be genuine and should be valid for at least 30 days. 6. You must have a valid address in Thailand whether a hotel or apartment that can be verified. 7. You must have a confirmed return ticket to show that they are flying out of Thailand within 15 days of entry, as appropriate. Open tickets do not qualify. Travelling overland out of Thailand by train, bus, etc to Cambodia, Laos, Malaysia (including en route to Singapore), Myanmar, etc is not accepted as proof of exiting Thailand.You may be asked to show your flight ticket on entering Thailand. If you do not possess a flight ticket to show that you will be exiting Thailand within 15 days of entry you will be most likely refused entry. 8. It will also be necessary to prove that you have funds of at least 10,000 THB per person and 20,000 THB per family during your stay in Thailand. 9. A fee of 2,000 THB is payable upon entry and is subject to change without notice. It must be paid in cash and Thai currency only. Tel. +66 214 198 89 or at http://www.immigration.go.th. The extension of stay as well as the change of certain type of visa is solely at the discretion of the Immigration office. Nationals of certain countries are required to apply for a visa only at the Thai Embassy or Consulate-General in their home/ residence country or at the designated Thai Embassy. Therefore, travelers are advised to contact the nearest Thai Embassy or Consulate-General to find out where they may apply for a visa to Thailand before departure. In case of overstay: There is a minimum charge of 500 Baht per day. This goes to a maximum of 20,000 Baht for overstays of 40 days or longer. In addition there is a risk being held in detention, fined, deported at own’s expense and black-listed from re-entering Thailand. The only legal way of getting a new visa, entry permit or extension of stay is from a Thai Embassy or Consulate, an Immigration Officer at a point of entry into Thailand or one of the Immigration Offices around the country. Visas issued by visa shops, travel agents or by any other means are likely to be illegal and can lead to criminal proceedings. Buddha images, Bodhisattva images or related fragments, part of ancient monuments and prehistoric objects, are forbidden to be taken out of the Kingdom. Newly cast images of Buddha in complete condition can be exported for worship, cultural exchange or educational purposes with licenses issued by the Fine Arts Department. Not more than 5 pieces per person shall be allowed. Reproductions of antiquities can also be exported with licenses. Almost 70 foreign airlines have licenses from Thai authorities to serve the country and are respecting international standards. It includes Aeroflot, Air France, Cathay Pacific, Emirates, Lufthansa, United Airlines or Swiss Air. Thai Airways, which is one of the most consider airline in the world, is offering the most destinations and the best services to and from Thailand. Suvarnabhumi Airport of Bangkok is the most important international airport of the country, many flights to Thailand are leading to there. However, many flights from Asia are landing in other international airport of the country such as Chiang Mai, Phuket or Hat Yai. Chong Sa Ngam, Thailand/Anlong Veng, Oddar Meanchey, Cambodia. Border crossings are only daylight hours open, except for Sadao and Pedang Besar. Boat crossing is usual between Thailand and Malaysia, the most popular crossing border are Kuala Perlis, Pedang Besar, Sadao and Sungai Kolok. Bangkok has a huge number of taxis for reasonable prices since they are equiped with meters. However, outside of the capital it is rarest to find taxis with meters. In this case, ask for the price and negociate before entering into the taxi. Avoid taking a taxi near hotels and tourist attractions. All the official taxis will have a yellow registration plate. Make sure to have some small banknotes and change, in case the driver doesn’t have change. Tuk-Tuk is classic vehicle in Thailand. They are easy to find, especially in Bangkok, due to their typical colors and the sound they make. It is a really good experience for tourists and a way to move quickly. It is better to ask the price before going in the tuk-tuk. Thailand has three primary metropolitan rail lines which are the BTS skytrain, MRT underground lines and airport rail link. All of these metropolitan rail lines are linked together. Unlimited single day and various multi-day passes can be purchased for both the BTS skytrain and MRT underground, many of which are ideal for tourists wishing to explore the city, though such cards are not transferable between the two independently owned rail lines and must be purchased separately. The BTS skytrain card can buy only at the BTS skytrain station. There is two types of railroads in Thailand. The first one is the BTS skytrain composed with two lines (green), the second one is the MRT underground (blue). The first line of the BTS skytrain is Sukhumvit Line and follows Sukhumvit road, a very busy street, with many shops, restaurants and hotels. In the north, it leads to Mo Chit, near the northern bus terminal and the JJ Weekend Market, where it is possible to change for the MRT underground. Others changes on the Sukhumvit Line are located at Asoke station for the BTS and at Sukhumvit station for MRT. The second BTS skytrain’s line is the Silom line. This line is going through the business district and ends at the Chao Phraya River, where you can find the public boat service to cross the river. It is possible to change for the Sukhumvit line at Siam square and for the Mrt at Silom Station. In the near future, there are approval projects to build 2 more new routes and 2 extension route on the old lines. Following the plans there will be new light red line and dark red line which are suburban railway system. These lines will reach some part of Pathum Thani province. These red lines will be finished in 2018. The extension plan for both green lines will be finished in 2021,and these extended route will reach some part of Samut Prakan and Pathum Thani. It is possible to buy single or multi-day passes in order to explore the city easily. However, a pass can only be use for the skytrain or the underground. So, you have to buy two distinct passes for each railroad. MRT underground line is a completely new line of the railroad network. It has 18 stops, from Bang Sue to Hua Lumphong, where you will find the train station that will allow you to go to the countryside. As for the BTS sky-train, single day and multi-day passes can be bought independently for the BTS and the MRT. In the near future, there are approval projects to build many more routes for MRT lines. According to the plans there will be more 4 new routes consisting of purple, orange, pink and yellow line and 2 more extended lines which are extended of light green (Sukhumvit line) and extended blue line. All of these new routes will reach many parts of other provinces which are Nonthaburi, Nakhon Pathom and Samut Prakan. Some parts of the construction plans have already been completed but many are still in progress and will be finished in 2016 and 2022 according to each plan. The airport line is an express and commuter rail in Bangkok. The line provides an airport rail link from Suvarnabhumi Airport, via Makkasan, to Phaya Thai Station in central Bangkok. The ARL operates daily from 6:00 a.m. to 12 midnight, with commuter City Line (blue) trains departing every 10 minutes during peak hours (6am to 9am & 4pm to 8pm) and 15 minutes off peak & weekends. The extended route that links Suvarnabhumi Airport to Don Muang Airport should be finished by 2016. At the moment you can take advantage from a free shuttle leaving every half an hour or use public bus # 555 or taxi service.. In Bangkok, there are both public and private buses. As a consequence, buses can vary in size, type and cost. Taking the bus in Bangkok can be as tiring as walking to your destination. Long distance buses are very common in Thailand, there are many bus stations in Bangkok to join destinations such as Pattaya, Hua Hin, Ayutthaya, Cha am or Kanchanaburi. Passengers can travel by train from Chiang Mai to Bangkok to the Laos or Malaysian borders and many places in between. . Even though the journey on a Thai train generally takes longer and can be more expensive than a voyage by bus, trains are safer and are generally more comfortable. Popular train routes include Bangkok to Chiang Mai and Bangkok to Surat Thani, the launching point for boats to Koh Samui. There are three classes of Thai train service, allowing even the most budget conscious traveler to experience travel by train in Thailand. However, while first class is quite plush, featuring private cabins with twin sleeping arrangements and air conditioning on select routes, prices are often higher than flying the same route on a budget air carrier. On the other end of the spectrum, third class is cheaper than the bus but may not be the most comfortable way. Second class prices on Thai trains are equivalent to first class bus tickets, both in price and in comfort, though the train has fold down beds and it’s easier to get up and stretch your legs on the train than on a bus. Ladies and Children’s carriage service was commenced in August 2014. These carriage are painted in pink and purple. On the carriage are served by female only staffs to ensure that the passengers will be proctecetd from any risk of assault or harassment. One ladies and children’s carriage will be attached to the first class and second class train for many routes. Thai trains depart throughout the day, though some are express and some make frequent local stops and comprise of only third class seating. Train tickets sell out well in advance for some holidays and weekends, particularly the more limited sleeper cars and the wider, lower bunk, second class sleeper seats. Traveling by train is not the best choice if you in hurry or have an exact plan because mostly train are not arrive or depart followed the time schedule, It might talk 10 minutes to hours late. Car is a good option to travel across the country, but driving can be difficult for foreigners. We advise you to rent a car with a driver or a guide, it is more expensive, but you‘ll avoid any kind of problem. In the outlying areas of Bangkok and in many other towns and cities, the main form of transport is the ‘Baht Bus’, in the form of a ‘Song Thaew’ (two-row) – a converted Hyundai or Subaru pickup truck with two rows of seats along the sides of the vehicle, or ‘Si Lor’ (four-row). Many river, like Bang Pakong river, Mae Khlong river, Ta Chin river or Kwae (Kwai) river are navigable. These rivers are perfect for trips such as on the Chao Phraya river in order to discover the Koh Kret island and an authentic way of life on the bank’s river. Thailand is the country of the friendliest people. Although there is some things to avoid in order to keep a smile on the Thai people’s face. Even if in case of mistakes, they will probably forgive you and act with understanding. These instructions will help you to spare yourself of this situation. Do respect Buddhism Religion is very important for Thai people, Buddhism in particular, because it is the most practiced religion in Thailand. This is why Buddhism is protected by the law. In Thailand touching a Buddha image may appear disrespectful. Even taking pictures or sitting next to it, are to be avoided. Women are not allowed to touch or to sit next to a monk, just wai in sign of respect. Men and women must have their shoulders and knees covered. When you are entering a temple, it is better to remove your shoes. Physical contact with a person you don’t know well is not common in Thailand. Thai way to greet people is the wai. To make a wai, press your palms together near your chest and bow a little bit. The more the person is important, more your hands have to be high and your bow has to be deeper. You don’t need to wai at receptionists, chambermaids and children. To greet people women say “Sawadtii khaa” and men “Sawadtii khap”. According to the Thai’s culture, soul lives in the head. As a consequence, it is a sacred part of the body that only the close family can touch. Feet and soles must not be pointed or shown to people or Buddha figure. It could be consider as an insult. In Thailand the King and his family are nearly sacred. People have indeed a lot of respect for their King and their monarchy. Pay attention to do the same if you prefer to avoid being persecuted by the law. The King’s image appears on many items like stamps or money, avoid damaging and stepping over them. It can be considered outrageous. The smile is a charming accessory of Thai personality and an unquestionable sign of respect. Use it to get out of embarrassing situations and ask for forgiveness for misunderstandings. It is better to avoid demonstrations of public affection. It could feel embarrassing for Thai people. Chopsticks are less common than forks and spoons in Thailand. Avoid making a wave or raising your finger to call a waiter. When you are entering in someone’s house, it is respectful to remove your shoes. In Thai people’s culture, stepping on the threshold bring bad luck to the people that lives in the house. The money in Thailand is the Thai Baht (THB). 1 baht has 100 Satang. You can find banknotes of 10 (brown), 20 (green), 50 (blue), 100 (red), 500 (purple) and 1,000 (grey or brown) Thai baht. Coins: 25 and 50 Satang; 1, 2, 5 and 10 baht. ATM or bank cash machines are widely available throughout the country. Banks and authorized money changers are allowed to change money and accept major currencies. The best exchange rate is from Us Dollar to Bath, but cheques even have a better rate. Hotels, restaurants, travel agent, tourists shop or department stores are accepting the most common credit cards such as Visa, Master Card, Amex or Diners. First of all, make sure you are up-to-date on routine vaccines before every trip. These vaccines include measles-mumps-rubella (MMR) vaccine, diphtheria-tetanus-pertussis vaccine, varicella (chickenpox) vaccine, polio vaccine, and your yearly flu shot. World Health Organization recommends vaccinations against: Hepatitis A and Typhoid that you risk to get through contaminated food or water, especially if you are an adventurous eater, Hepatitis B, Japanese Encephalitis, if you plan to visit rural areas in Thailand or will be spending a lot of time outdoors. Malaria and Dengue fever are diseases that can be transmitted by mosquitoes, especially during the rainy season. Travelers should protect themselves regularly with repellent by smearing themselves and their clothes with it. The most efficient repellents are composed with DEET. The sale of medicines is less regulated than in Europe, counterfeit products are common in Thailand and pharmacies are selling drugs without medical prescriptions. We advise you to see a doctor before buying any medications and to buy them in licensed pharmacies and hospital outlets. Your passport must be valid for minimum 6 months before the expiry date. Don’t ignore trip, baggage and medical insurance. For vaccinations and medicines visit your doctor before your travel. Clothing should be lightweight and of the drip dry variety. You will be in the sun a lot so long sleeves and a wide hat would be more suitable. Underwear should be synthetic and easily washable. Shirts should be long sleeved and lightweight with lots of closed pockets. T-shirts, short sleeved and again with pockets. Cool evenings necessitate the need for pullovers or a lightweight jacket. Long trousers made from a lightweight, quick drying fabric should have multi pockets for day trips. Long trousers that turn into shorts are ideal. For trekking lightweight long shorts (for modesty purposes) are acceptable. Bathing suit should be modest so as not to offend the locals. Hat for protection from the sun. Should have a wide brim and a strap. A sturdy poncho or parka will help to keep your gear dry in case of rain or waterfall spray. Footwear: You will need some sturdy comfortable boots for trekking or just walking around. They will need to support your ankles as well as having a non slip sole. Water proof sandals for those short trips and boating. Some smart casual clothes for the evenings and visiting restaurants. Insect repellent with the percentage of DEET recommended by your travel medicine physician. It’s important that you bring an ample supply of good quality repellent. Cold-symptom relief tablets, antihistamine, cough drops. Adequate quantity of sweat-resistant sun screen with at least an SPF 15 rating or higher, and lip balm with sunscreen. Immodium, Lomotil, or similar anti-diarrhea medicine. Pepto-Bismol. Vaccinations are not obligatory (visitors coming from countries with yellow fever risks are an exception) but highly recommended. In order to not being ill during your trip, check all of your vaccinations, especially Tetanus, Polio and Diphtheria. Other vaccines are recommended, such as Hepatitis A and B (for a trip of more than 3 months), Typhus, Tuberculosis, Rabies, Japanese encephalitis. Bo Sang and neighboring Sankhampaeng are famous throughout Thailand for the production of handicrafts and traditional umbrellas. This cultural heritage is celebrated with an enjoyable, low-key festival which is always well-supported by the local community. The event in Bo Sang takes place a few weeks before the Chiang Mai Flower Festival, and although it may not attract anywhere near the same number of visitors, it is the intimate nature of the Bo Sang festival that gives it an unbeatable charm. The northern Thai city of Chiang Mai celebrates the annual Chiang Mai Flower Festival at the beginning of February. This is truly a very impressive festival, with astounding floral displays, parades, music concerts, and street markets. All this preparation makes this one of Thailand’s most colorful and family-friendly festivals with almost endless activities and sights to enjoy. Over the course of the three-day festival, the old city of Chiang Mai is delicately decorated by beautiful flowers and flora. Visitors flock to see incredible exhibitions of Chiang Mai’s most vibrant floral displays, including truly special, locally-grown orchids. The festival also features a parade showcasing the region’s vibrant and colorful flowers, as well as dancers in traditional costumes. In Thailand, Chinese New Year is a holiday for Chinese people. Also called “Lunar New Year” or “Spring Festival,” this holiday is the first day of the New Year on the Chinese Calendar. Huge block parties rock Bangkok’s Chinatown, with many events centred around the Odeon Gate. Many will wear red and peruse the area for some fun, food, and unique shopping. Unlike in many countries, holidays are no time to close in Thailand; staying open allows everyone to do more business! 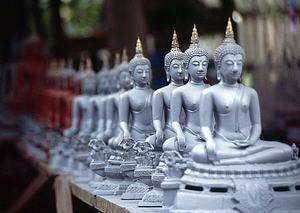 Makha Bucha Day is a Thai Buddhist holiday, held during the third lunar month of the year, when Buddha is said to have delivered certain of his teachings. In Thailand, devotees head to Buddhist temples on Makha Bucha Day to take part in rites and to “earn merit.” They may also abstain from alcoholic beverages, give food offerings to monks, meditate, and take part in a late-night candle processions. Thailand observes Chakri Memorial Day to celebrate the founding of the still-reigning Chakri Royal Dynasty, which dates back to 1782, and is the date of the coronation ceremony of Rama I. This is an important day to take the time to honor and remember all of the contributions of the Chakri kings throughout Thailand’s history. If April 6th happens to come on a weekend, then the holiday will be observed on the following Monday, instead. 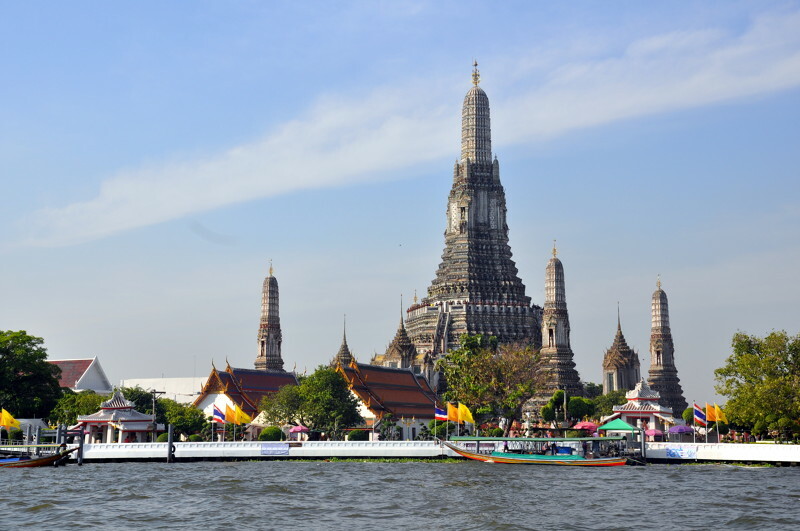 It was soon after the founding of the Chakri dynasty that its first king, Rama I, made Bangkok Thailand’s capital city. So, the holiday certainly has special significance to residents of Bangkok. Today, Rama X, the tenth Chakri king, still reigns. He and the whole royal family oversee special services at the Royal Chapel on Chakri Day. They also visit the Royal Pantheon to honor the memory of earlier Chakri kings, and lay a wreath by the statue of Rama I. The Songkran Festival a national holiday in Thailand, marks the beginning of the Thai New Year. Songkran is also known as the “water festival,” since water is used to ritually wash away negativity from the previous year. Those celebrating Songkran pour water over one another, symbolizing the washing of bad luck and sins from life. Some even add herbs to the ritual water, as well. The most famous street party in Bangkok is called Silom, which stretches a staggering 4 kilometers. Thousands of people, armed with water guns, balloons, and any other vessels they can get their hands on, will utterly drench anyone in their path. Isaan has traditionally and predominantly been a tranquil, rural, farming area, yet holds one of Thailand’s most unusual and incredible festivals every year. The Yasothon Rocket Festival is held to promote and pray for the success of rice crops for the upcoming season. The local people create all kinds of rockets, or “bang fai,” and launch them into the heavens as a way to entreat the gods to bless them with an abundance of rain. In Thailand, the annual Royal Ploughing Ceremony is a special day on which symbolic rice planting takes place. This pure ritual is supposed to help guarantee a good harvest in the year to come. Both Buddhist and Hindu Brahmin ceremonies take place at the Thai festival, during which monks from each religion bless the planting of the rice in their own ways. The royal planting occurs at the outset of rice-growing season, and consists of two sacred oxen that pull a decorative plough, accompanied by traditionally costumed men who plant rice in the furrow. The oxen are also fed rice, grass, other foods, and even given rice-whiskey to drink. Based on what the oxen choose to eat when given multiple foods to choose from, astrologers then predict if it’s going to be a good rice-growing season ahead. Visakha Bucha Day commemorates the three major events in the life of Buddha: his birth, his enlightenment, and his death. In Thailand, Visakha Bucha Day is a time when the devout visit local temples to “do things of merit” by giving donations and engaging in various Buddhist rituals. Thai law prohibits the sale of alcoholic beverages on Visakha Bucha Day, which causes many bars to close temporarily. Many of these celebrations are private and religious, but tourists are allowed to visit most of the many temples around Thailand to catch a glimpse of the celebrations. The Siam Tulip, or Dok Krachiao, comes into full bloom in the early part of the rainy season, from June to August. During these months, the fields of Pa Hin Ngam National Park in Thep Sathit district and Sai Thong National Park in Nong Bua Ra Haew district are completely blanketed with the exceptional beauty of these pinkish-purple flowers, which are the centerpiece of this beautiful festival. Every year, the Dan Sai district in Thailand’s Isan region stages an event called Phi Ta Khon, also known as “Bun Luang” or “Bun Pawat.” The event has its origins as a fertility festival, but these days, it has become an integral part of a two-day, “merit-making” event. A colorful parade, Phi Ta Khon’s most vibrant event or “Ghost festival”, features locals dancing and striking poses while wearing huge, coconut-tree-trunk masks, topped with wicker sticky-rice steamers that make them appear taller and almost otherworldly. In July, on the full moon of the eighth lunar month, Thai Theravada Buddhists come together to celebrate one of their most important festivals; the celebration commemorates the Buddha’s first sermon following his enlightenment. This first sermon is not only the first important pronouncement of the Four Noble Truths, but also contains the essence of all the Buddha’s teachings. At the end of the talk, the first order of monks was then established. Thai Buddhists observe this day by donating offerings to temples and listening to sermons. The following day is known in Thailand as Wan Khao Phansa; it is the first day of “vassa”, the Theravada rains retreat. Khao Phansa Day is a Buddhist holiday observed all over Thailand, on the first day following the full moon, occurring in the eighth month of the Thai lunar calendar. Khao Phansa marks the first day of “Buddhist Lent,” a time when observant Buddhists fast from such consumables as meat, alcohol, and tobacco. For the most part, only Theravada, rather than Mahayana, Buddhists observe Khao Phansa, and even many Theravada practitioners choose not to fast. The birthday of King Maha Vajiralongkorn, also called King Rama the Tenth, arrives every 28th of July, and is a very important public holiday in Thailand. King Rama X has reigned in Thailand only since 2016, when his father, King Bhumibol, died after a 70-year reign. Vajiralongkorn was a clear successor, since he was Bhumibol’s only son, yet already 64 years old upon ascending the throne. In Thailand, the Queen of former King Bhumibol is honored with a public holiday on her birthday, the 12th of August. The day is also called the “Mother’s Birthday,” The day is one on which to remember the humanitarian achievements of Thailand’s beloved Queen Mother, and a day to honor mothers everywhere all across the country. 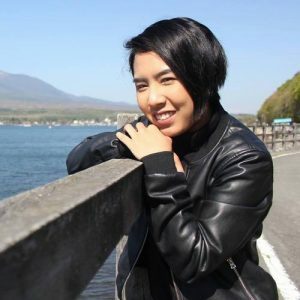 In the capital, Bangkok, a festival held along Ratchadamnern Avenue between the Royal Palace and the National Parliament Building should not be missed: this is truly the “main event” for Her Majesty, the Queen’s Birthday. Throughout Thailand at the moment, many Thai people (especially those with Chinese heritage) observe the Taoist lent period, which lasts for 9 days and 9 nights. This is marked by Thailand’s Vegetarian Festival, and although its origins are Taoist, the festival has slowly been merging with Thai Buddhism in unique and fascinating ways. During this period, devotees will strictly abstain from eating meat, seafood, and dairy products of any kind. For decades, King Bhumibol Adulyadej was the only king the people of Thailand knew, and he remained in power even as numerous prime ministers and military coup leaders came and went. He became a symbol of stability, and was truly beloved by the people of his kingdom. He took the throne in 1946, reigned for 70 years, and earned the title “Father of the Nation.” After a long struggle with illness, he finally passed away, at the age of 88. Chulalongkorn was born into the House of Chakri as the son of King Rama IV, and even as a child, held a position in the royal court of Siam. 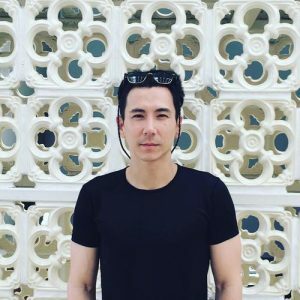 Along with his political upbringing and eventual experience, Thailand’s most beloved leader learned much through formal schooling, as well. As a student, he studied biology, swordsmanship, engineering, English, and anthropology, making him not only a beloved King, but an extremely accomplished one, at that. Celebrated with passion nationwide, Loy Krathong is probably Thailand’s most beautiful and enchanting festival. Traditionally made from banana leaves or the bark of a banana tree, people often fill their krathongs with a candle, incense, and flowers. The person who gets to set the krathong on its watery journey down the river will often take a small clipping of their own hair or fingernail, which will then be added to the krathong, together with some coins. The candle and incense are then lit, and a wish is made, before the krathong is placed on the nearest stretch of water, on which the krathong carries away bad luck and allows a fresh start. The Bua Tong Festival takes place during one of Thailand’s most stunning and fleeting seasons, that of the Dok Bua Tong – or “wild sunflower” – in bloom. The Bua Tong flower only blooms from November to December, and during this period, the hills and valleys of Mae Hong Son turn to bright gold as wild sunflowers come into full bloom. During the festival, local fairs sell arts and crafts, as well as farm fresh products along the route of the Bua Tong fields. The Constitution Day in Thailand is a day to remember the adoption of the country’s first permanent constitution in 1932. In Bangkok and throughout the country, there are Constitution Day parades, fireworks shows, and numerous representations of the present and past kings of Thailand on display everywhere, ending the Gregorian new year on a patriotic note. Nice to meet you! 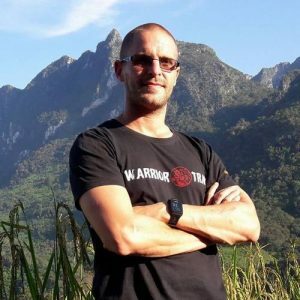 let me briefly introduce myself: My name is Martin Jeromin, I am 40 years old and the Sales Manager for the German and English market at EASIA. In the past years I was working for various DMC’s in Bangkok. I was born and raised in Germany, but my heritage is a mix of German and Korean. I am very glad to work with the EASIA family and look forward to work closely together with you soon. Hello, my name is Apichaya Promjart or you can call me Pat. I was born and I grew up in NgheAn, Vietnam. I love my countryside as it is very peaceful and green. I grew up with a lot of souvenirs of swimming on the river, playing with my friends, catching fruits on the nature and sliding down on the glass to watch the blue sky…. My most memorable trip was Japan in 2013. Japan is an amazing country with nice people, nice nature and beautiful temples and shrines. Food was fantastic. Next trip on my list: Visit the north of Thailand to discover northern culture and nature. When I am not working or travelling, I like watching TV or just swimming or listening music. Hello, nice to meet you, my name is Melina Rein or you can call me Nina. I am 23 years old and working as Quality Executive. Travelling always makes me happy. I was born in a small town near Antwerp in Belgium, I had a great time growing up there because everyone knew everyone and there was always something to do. When I later went to study in Brussels I really enjoyed the international atmosphere. 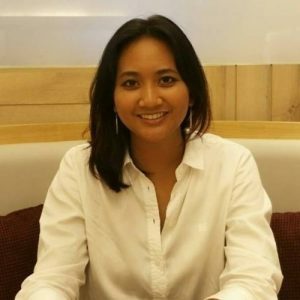 I joined Easia travel in 2016 after working all over Southeast-Asia for almost a decade, I settled down in Chiang Mai, Thailand. Traveling to Thailand for the first time in 2004 was my first encounter with a different culture. Experiencing the variety of colors, smells and tastes combined with the nice weather and hospitality really changed my life. The list of countries on my wish list is endless but the Philippines, Japan, and Iceland are high on the list. In my free time I like to stay active and enjoy doing sports, other than that I also definitely enjoy good food!